Today has been the most perfect Spring day so I ditched all my other plans for the morning and spent it in the garden, weeding. I fail to see why people hate this task; for me it is the best way to really sense what is going on in my garden. This time of year weedlings don’t put up much of a fight, dandelions come up with minimal tugging for instance. Everywhere I looked I spotted would-be sycamores putting down tap roots – so out they came – the boundary at the back of my garden is denoted by sycamores, self planted every one of them. They are not mine, if they were they would come down and I’d plant more appropriate trees – but I don’t have this option, so I just control the ones I can. The other benefit about being down in the weeds is that you spot the seedlings you want to nurture; hellebores for instance. Each year I pot some on, hoping that maybe I will find a new ‘treasure’ among them – but this requires patience, it will be several years before this year’s infants will reach flowering age. I never begrudge paying out for a special hellebore, I take my hat off to the skills of the plant breeders. 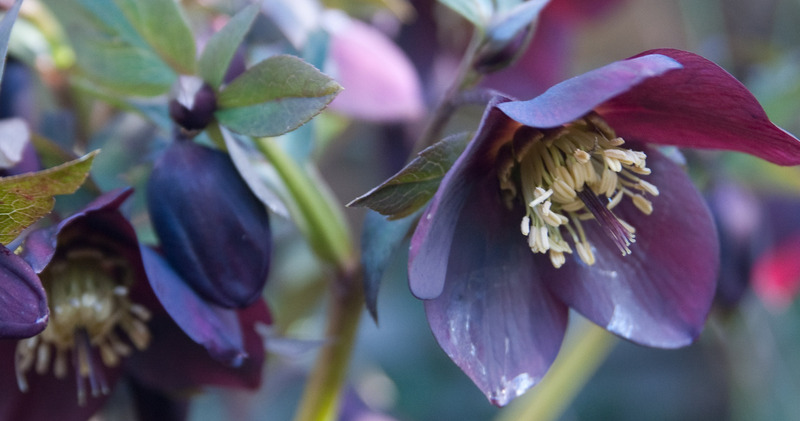 This entry was posted in In my garden and tagged hellebore, hellebores, plants, spring day. Bookmark the permalink.